Fantastic site with so much great info. Thanks so much for sharing. This is my first year of growing strawberries. I’ve got all mine in pots at the moment, and I am in the UK. Anyhow, after a promising healthy start some of the plants are developing some discolouration on the leaves. 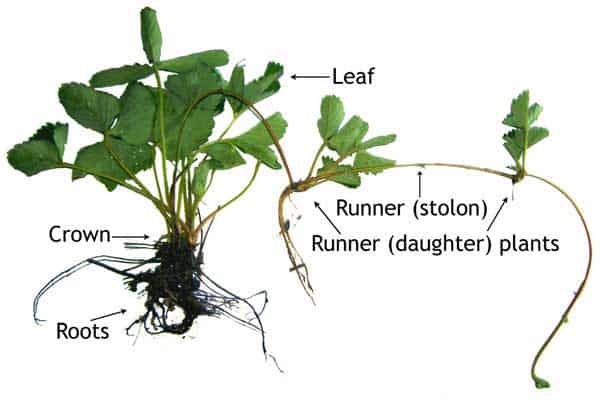 I’ve googled for answers and cannot find any pictures of plants/leaves looking like this. So I wondered if you might be able to tell what’s wrong by looking at the photos? I wasn’t able to pull up the pictures, but there is a good chance you’ll be able to identify them with the resources in the Strawberry Library. Good luck! Can you tell me if it is safe to eat strawberries with the black fungus in spots on them? You should carefully remove all the blackened parts prior to eating. Good luck! You can try a liberal application of diatomaceous earth. 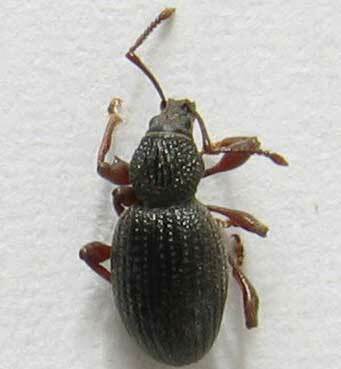 Or, use the resources in the Strawberry Library to identify the exact pest and appropriate treatment. Good luck! I’ve started growing strawberries in pots for 4 years in Jamaica. Was successful, but with few fruits. We have severe drought for two years now and I think I’m loosing my few berry plants. The leaves are yellowing and drying up. The daughters have yellowing leaves. The roots are black and seems to be dying. I dug a plant up this morning and could see tiny white/grey mites inside and around the roots. Help please this is now becoming my hobby. 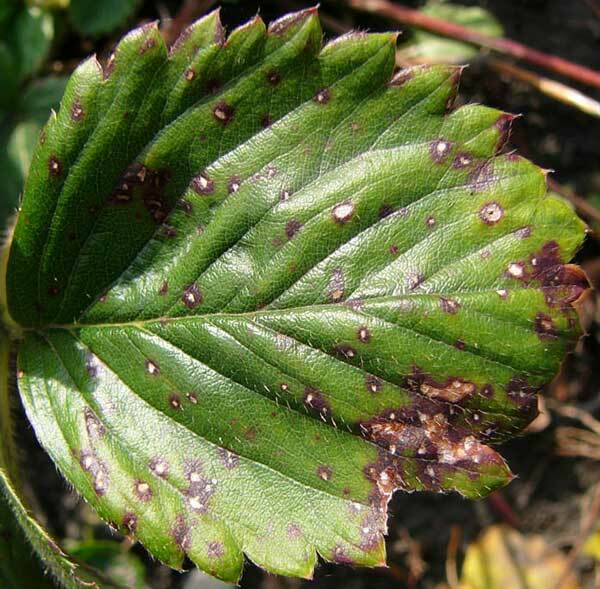 You might want to look at the resources in the strawberry plants library to get help identifying the pests/pathogens that are affecting your plants. Then, you can know how to best treat them. Good luck! I do not know what’s going on with my strawberry tower that I have created (3.5 months ago est.) & I really need some help/advice. The two level pot tower initially was under a severe attack from earwigs I set some oil traps & killed a significant amount, some leaves turned red with tiny blk. spots on the leaves & stems. A few of the stems turned red, some leaves have shriveled up so I had sprayed the plants once with Safer Garden Fungicide (the plants didn’t appear well so I hadn’t repeated). I had seen some more earwigs a week ago & set some traps but the results were minimal (around 12 dead along w/a HUGE spider). Out of the six bunches I have only been able to save four strawberries! Today I found holes & some shriveled berries, the area I have the pots in receives a lot of water. I want to move the tower to a stand & hand water it in a different area. Runner are still producing I need some advice on what to do…help please! I’d recommend reviewing the details for successful growing here. 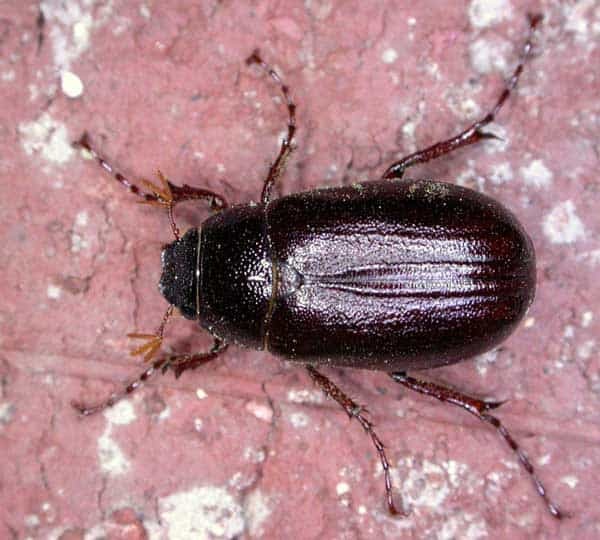 Also, you might have more than an earwig problem. 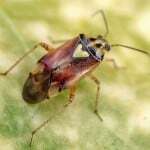 You might want to try to identify the specific pathogens or pests that may be damaging your plants. You can find resources to help you in the library. Good luck! Hi, I just found your site and it is great, very helpful. 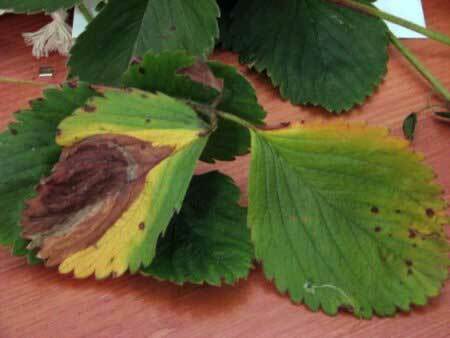 I was able to diagnose my leaves as having Strawberry Plant Leaf spot, the fungus Mycosphaerella fragariae. I could not find what to do about it. Can you guide me in the right direction to help my plants? may i asked if there are different color of strawberry fruits like blue yellow black and more coz i saw them at aliexpress when i am planning to buy strawberry seeds..
No, there are no legitimate blue or black strawberries. There are yellow, white, red, and purple(ish) varieties. Good luck! I’d start with a liberal application of diatomaceous earth. If that doesn’t work, follow up here. Good luck! Hi, I planted strawberries quite a few years ago. They do fruit but they have tiny little fruit that ripen and right away they are very sweet in taste but they are very very small. How can I get them to grow larger. I do not currently have runners. Follow the instructions here. Good luck! 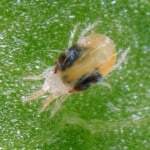 You might have an infestation of mites or other pests that are feeding on the fruit. Try a liberal application of diatomaceous earth. Good luck! Yes, the deficiencies should be reversible. Just amend the soil with the nutrients that are lacking. 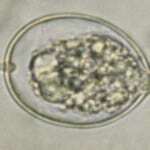 Most fertilizers have both nitrogen and phosphorus. The numbers tell how much N-P-K the fertilizer supplies. So, 10-10-10 fertilizer would be equal parts nitrogen, phosphorus, and potassium. Good luck! My strawberries have worms in the berry. The berry looks fine. If you let them sit a bit they come out. Sometimes they are showing when you pick them. They are grayish and hairy. I can’t find it in any description of pest. Try this resource. Good luck! I have been told that strawberries can travel all over the yard. We had hurricane sandy and they have been gone. Now all of a sudden I think I have to very full and healthy plants in two different areas of the garden. (Ironically, I had tried to plant a small rose bush last summer in each spot.) Well this spring the rose bushes never came but the strawberry plants did. Again, I think that they are strawberries. I am hoping they are not weeds!! HELP!! Thanks!! Strawberry plants can definitely live year-to-year. So, I’d just watch for the blossoms. If they are white, you have strawberries! If they are yellow, it’s a weed. Good luck! I am new to growing strawberries. I planted them last spring. I am in southwestern Ohio. This year my plants look good and are flowering but the centers where the strawberry is forming has turned brown. Leaves are green and flower petals are white. Why are the centers of the flowers brown instead of yellow? Is this okay or do I have a problem? Thanks so much for your help! Some brown is normal. As long as your plants continue to do well, I wouldn’t worry about it. 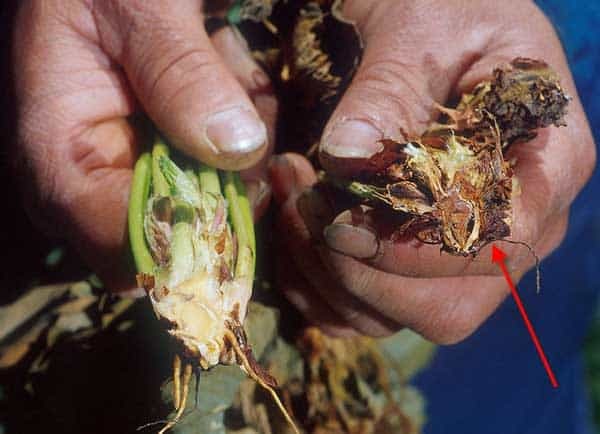 There are a few pathogens than can cause your crown to become diseased, but the leaves will die, followed by the plant dying, in those instances. If everything else looks fine, I would wait and watch for signs of stress on your plants. If you don’t see any, fret not! Good luck! 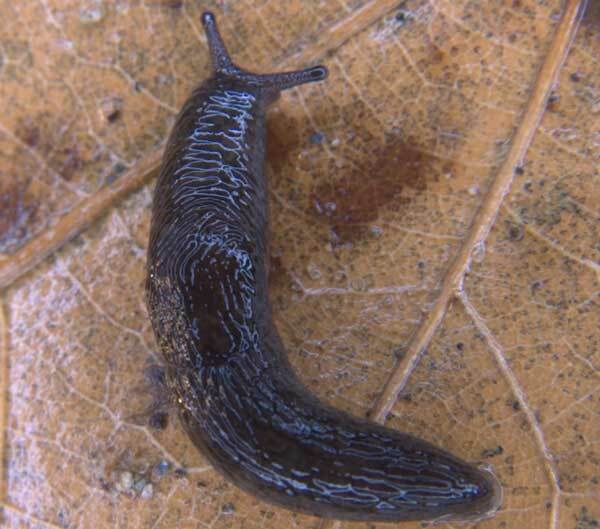 It is called vivipary or viviparous germination. 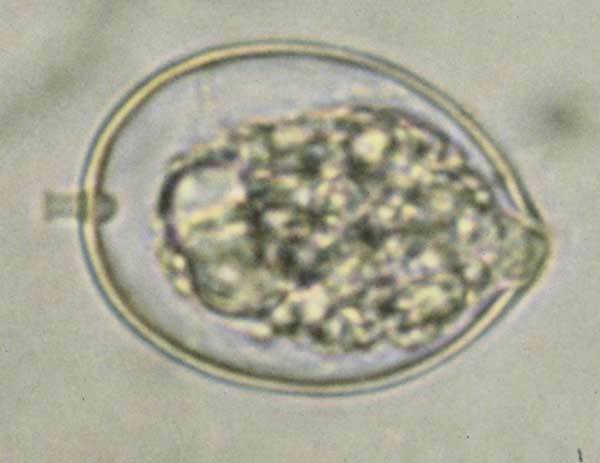 The seeds spontaneously germinate while still on the plant. It doesn’t make for a tasty strawberry, but is a normal, if infrequent, occurrence with strawberries. You might not be watering them adequately. I’d recommend reviewing this information. Good luck! What is the sweetest part of the strawberry? I think it’s near the stem as opposed to the tip but can’t find anything to verify that. The strawberry will be uniformly sweet if it is uniformly ripe. Often, strawberries are picked slightly too early. And, since the tip of the strawberry ripens last, it will be less sweet than the rest of the strawberry. Hope that helps! This is my first time growing strawberries. I purchased 2 hanging baskets at a local farm, they both are doing well & have quite a few runners which I would like to plant in a garden bed. Given appropriate care, each one of those leafy nodes on the runners will produce a completely new strawberry plant. Usually, a single plant will reproduce itself via runner many times over, so you can greatly multiply your plants, if space allows. View the video on the propagation page for an easy way to get the new plants growing on their own. With the hanging basket, you will have to figure some way of suspending the new growing pot for the new runners, however, or lower the hanging basket to the ground until the runner plants have rooted. As for the birds, you will need to surround the hanger with bird netting to keep them out. Once the plants stop producing berries, you can remove the netting. Good luck! This is my first year planting strawberries in Michigan. I love this website and it has helped me a lot. My plants are doing okay, some seems healthy and are producing runners. Some not so much. I’ve noticed a lot of little white jumping bugs after a couple days of rain. Should I be worried about them? 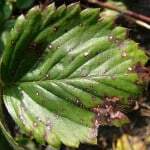 Are they the reason why some of my strawberry leaves are browning? I’ve also noticed that the strawberries that appeared never make it. They shrivel, dried up, and died before they reach 1/2 cm. What should I do??? Thank you. I’m glad StrawberryPlants.org has been helpful. That is why it is here! If your leaves are browning, you might have a nutrient deficiency or could possibly be watering too much. It sounds like you might have a pest problem also. 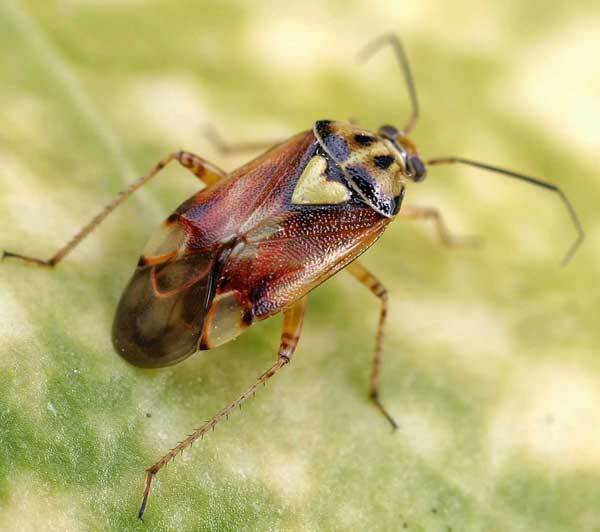 To help with the pests, you can use conventional applications or liberally apply diatomaceous earth (food grade) on your plants. The DE will work its way into the joints of any bug with an exoskeleton and will cause cuts that will lead to the bugs dehydration and, ultimately, death. 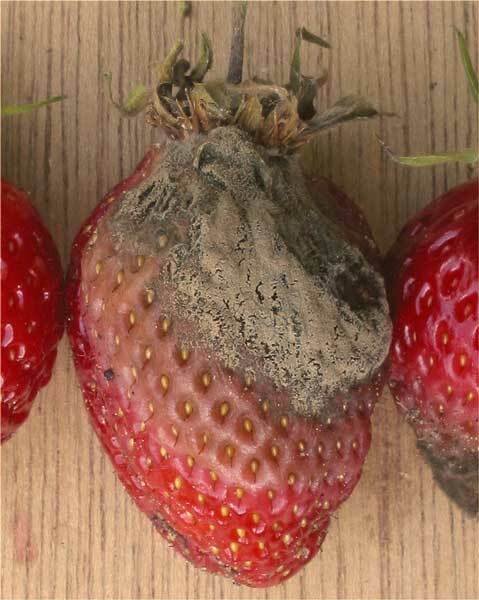 See this link for more on deformed strawberries, here for causes of wilting, here for nitrogen deficiency information, here for pest information, and here for how to grow. Good luck! I’ve recently planted a few dozen strawberry plants, different varieties from different sources. The plants were bold and full at first. I removed all fruit, flowers and runners as presribed for first year transplants. Within just a few days I noticed loss of the most mature leaves right from the end of the leaf stem. The most likely “pest” would seem to be a browsing deer though we’ve seen no foot prints, perhaps a rabbit or ground hog, though none have been spotted. We’ve improved our fencing nonetheless. 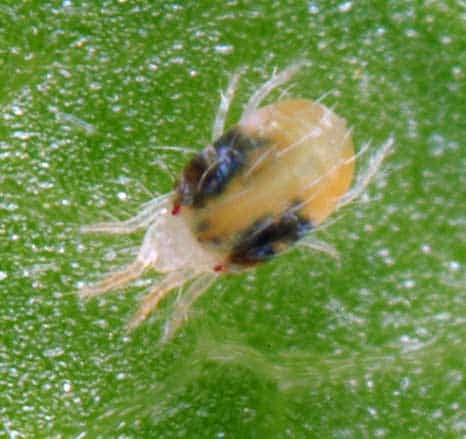 My question, is there a pest insect I should be looking for, such as a mite or a “cut worm” type critter that would only be removing the leaves from their stems? There is no other damage to the plants which seem to keep coming back, no discoloration in the leaves just “missing” mature leaves and the resulting inhibited growth. I fear at this rate I’ll lose the whole patch in a matter of weeks. If you have a problem with the big pests (deer, rabbits, etc. ), you might want to get some traps (for the smaller) or deer repellent. If you have a infestation, this might get you started on identifying your problem (see entries 004 and 008). 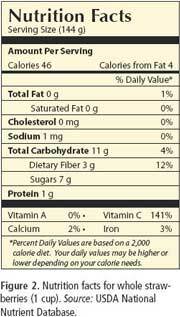 Additionally, you can liberally apply diatomaceous earth to your strawberry patch. It won’t hurt you or your plants, but anything with an exoskeleton will think twice before venturing too close. Good luck! 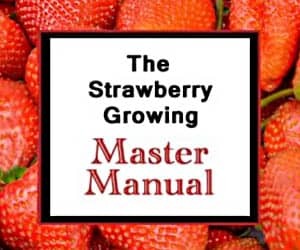 I am interested in removing the tops from strawberries in a processing operation. It occured to me that the leafy material of the tops are significantly different in physical properties and chemical makeup. I would be interested in knowing if you may be aware of a method that would easily remove the tops from the strawberry. Currently all this work is done by hand and it is costly and time consuming. I was thinking along the lines of exposing the fruit to some type of enzyme that would loosen or disolve the tops while leaving the rest of the fruit in tact. Any other method of removing the tops or ideas for this would be greatly appreciated. I am not aware of any automated process, but you can try these hulling methods. Good luck! Wad wounder if the seds are the fruit in the straberry?? 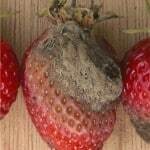 Yes, technically speaking, the small “seeds” affixed to the outer surface of a strawberry are actually the fruits. 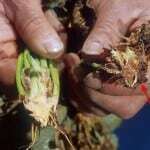 They are called “achenes” and are attached to the accessory tissue of the strawberry. Hope that helps! Should I plant in a sunny or a shady location? Strawberries do best in full sun. Good luck! You probably actually do have Ozark Beauty strawberry plants. My guess is that the conditions in which you are growing them are deficient in some of the needed nutrients or environmentally unfriendly to them. 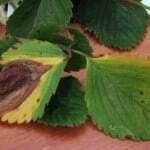 That can cause low or no strawberry production. As to the red stems, see here. I live in British Columbia Canada and we have a small strawberry bed with a mixture of varieties. We are finding that as the larger berries ripen on the lower side they have a small hole which has 6 or so tiny worms (about 3/8 inch long and the thickness of fine sewing thread) that are waving about. There doesn’t appear to be anything unusual in the rest of the berry and the plants are fine. 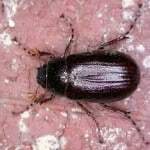 I can’t find any information about any pest like this, can you help or give suggestions. Thank you. I’d recommend a liberal application of diatomaceous earth. 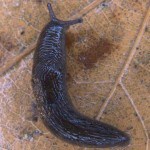 The worms likely will not be able to withstand it, and it won’t do any damage to you or your plants. Good luck!